Our leadership training program begins with an assessment of each client’s unique needs. 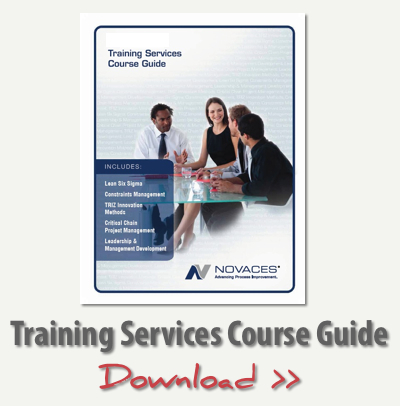 By working with executive leadership and conducting an assessment of the client’s work environment, NOVACES will help your organization determine its high-level gaps and then work with you to create a plan tailored to the unique needs of your organization. We begin by surveying a sample across functional areas of your organization and follow this up with a walkthrough of process areas that are identified as potential improvement opportunity areas. The findings from the surveys, walkthrough and executive interviews are then aggregated to prioritize leadership and management development requirements as well as high-level organizational development opportunities. Senior Leadership will then set aligned objectives with quantifiable measures of progress so that your organization can visibly track its progress.